Board directors have often accrued a lifetime of business experience allowing them to serve on multiple boards simultaneously by lending their sage expertise to multiple organizations. 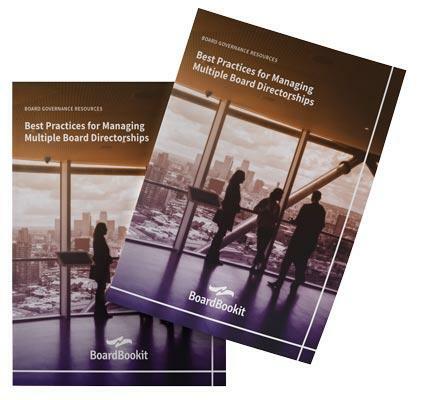 Some organizations say board members with multiple board directorships are “overboarded.” Others feel that multi-affiliated directors have the advantage of fostering networks that promote the flow of resources across common industries. However, statistics show that the best directors are often affiliated with multiple board directorships. Today’s ability to leverage board portal software technology makes multiple directorships seamless for both directors and administrators with a better way to manage board materials, attend meetings, and bolster engagement.